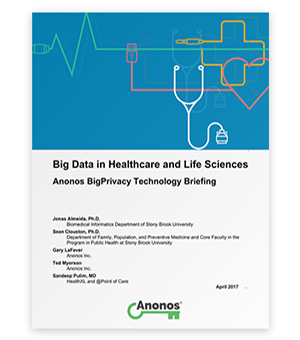 Maximizes Data Value: Better control over sharing and use of restricted data (including health data) requires technology that supports emerging “data protection by default” requirements. Minimizing Risk of Re-Identification: Data analytics, artificial intelligence and machine learning (“Big Data”) overpower the ability of traditional approaches to data security and privacy due to significant gaps in protection. Enforcing Granular Controls: privacy-respectful sharing and use of restricted data requires technically enforced granular controls that fuse together data security and privacy capabilities.